2016-02-09 16:36 - 2015-07-28 18:45 - 00000000 ____D C:\Users\Kim\AppData\Local\osu! Description: The program explorer.exe version 10.0.10240.16603 stopped interacting with Windows and was closed. To see if more information about the problem is available, check the problem history in the Security and Maintenance control panel. Description: Installation Failure: Windows failed to install the following update with error 0x80070643: Windows Malicious Software Removal Tool for Windows 8, 8.1, 10 and Windows Server 2012, 2012 R2 x64 Edition - February 2016 (KB890830). Description: The Diagnostics Tracking Service service did not shut down properly after receiving a preshutdown control. Description: The Sync Host_Session3 service terminated unexpectedly. It has done this 1 time(s). The following corrective action will be taken in 10000 milliseconds: Restart the service. Contact the service vendor or the system administrator about whether to disable this service until the problem is identified. You may have to restart the computer in safe mode before you can disable the service. Description: A timeout (30000 milliseconds) was reached while waiting for a transaction response from the SystemEventsBroker service. Description: The Sync Host_Session2 service terminated unexpectedly. It has done this 1 time(s). The following corrective action will be taken in 10000 milliseconds: Restart the service. Description: A timeout (30000 milliseconds) was reached while waiting for a transaction response from the BrokerInfrastructure service. My name is Bruce1270 and I will be helping you with your malware problem. Please read all instructions carefully. If there is anything you do not understand please ask me first before doing anything. Please be patient. I am a volunteer who does this in my spare time so I will try to get back to you as soon as possible. Please follow all instructions in the order given. Please do not install any other software unless advised. This may hinder the removal process. Please make sure you reply within 4 days to my responses, if there is no reply within 4 days, the topic will be closed and you will need to request the topic be reopened. Please save or print off these instructions. Part of this fix may require you to be in safe mode where you will not be able to access the internet or my instructions! I would strongly recommend you back up your personal data and folders before we begin. Malware removal can be very long, complicated and may take multiple steps. I understand this may be frustrating but please stay with this topic until your machine is declared clean. The results will hopefully be very rewarding. Here is some instructions for you. I noticed that you run FRST64.exe from Users\Kim\Downloads folder. Please move it to your Desktop. You can do it by right-clicking FRST64.exe, click Cut, then go to Desktop, right-click any free space and click Paste. For the FRST fix to work both FRST64.exe and fixlist.txt must be in the same location and the desktop is where the software is most effective from. Save this as fixlist.txt, in the same location as FRST.exe on your desktop. On completion a log (fixlog.txt) will be generated. Please select all text in this fix, copy (CTRL + C) and then Paste (CTRL + V) in your next reply. When finished, please click Cleaning button. Upon completion, click Logfile. 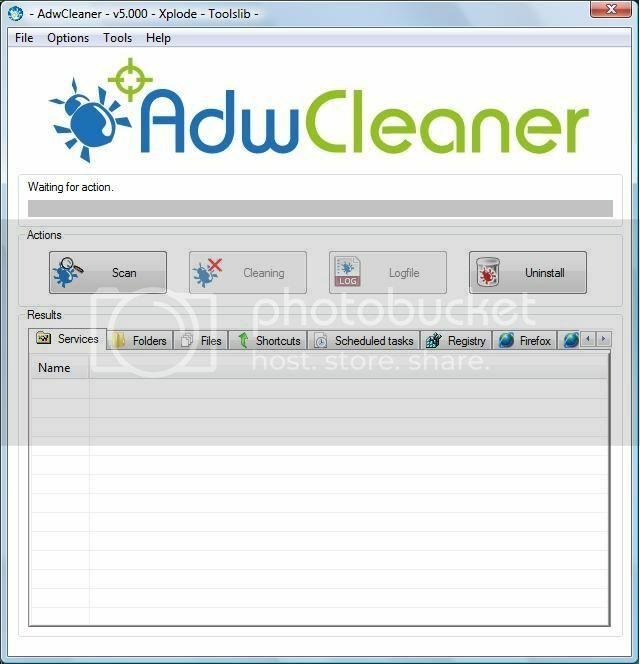 A log (AdwCleaner[C*].txt) will open. Please copy and paste this in your next reply. Double-click on mbam-setup-version-number.exe to install the application. Un-check the box beside Enable free trial of Malwarebytes Anti-Malware Premium. Navigate to the Settings tab > Detection and Protection and ensure all the boxes under Detection Options are checked. How is computer running now? 0 out of 0 jobs canceled. EmptyTemp: => 165.3 MB temporary data Removed. Post the log anyway please. Double click on Malwarebytes to open the application. under the heading type, locate the latest log called Scan Log and double click to select it. In the next window that opens click Export then select Text file (.txt). Save this to your desktop. You can call the file MBAM. Copy and paste the entire contents of the report into your next reply. Next lets try running xbootmgr - this should help performance following an upgrade to windows 10. 1.Open User Account Control Settings by clicking the Start button , and then clicking Control Panel. In the search box, type uac, and then click Change User Account Control settings. 2.Do the following: To turn off UAC, move the slider to the Never notify position, and then click OK. The last Reboots are training of readyBoot. After the training is finished, you'll notice a huge improvement in startup. 2.Do the following: To turn on UAC, move the slider to the notify me (default) position, and then click OK.
How is the computer running now following xbootmgr? Good stuff. OK, subject to no further issues I will remove my tools and give you some prevention advice. Good News! - Your system now appears to be clean. Now for some clean up and "housekeeping" procedures. Locate the file and right click on it. Click on Run as Administrator. Malwarebytes - Update and run weekly to keep your system clean. Crypto Warning!!!! - Complete Data Loss can occur! You will be prompted to click OK to continue and select your protection level. Go ahead and click OK.
Click the Apply button to set Default protection. Unchecky is a small service that runs in the background to help keep those "extra toolbars" and tag along search engines from automatically installing. By automatically directing you to a custom install with all the options unchecked, only what you manually choose and confirm gets installed. When browsing the internet, look closely at the links you click on. Some aren't always what they seem. Avoid Peer to Peer file sharing utilities, these are a minefield of malware infections. Pay attention when installing a program to your computer, particularly to any check boxes that may appear during installation, it is common for unwanted software to be installed in this way. To learn more about how to protect yourself while on the internet read this little guide Best security practices. Thanks for staying with the topic. It's been a pleasure working with you. Don't forget to post the Delfix log!